Being the biggest thing on earth didn't lend itself to making a lot of friends in the ocean. 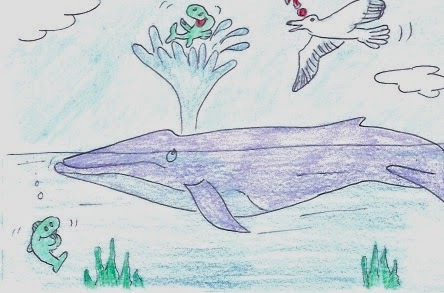 Those aquatic animals that braved meeting the Blue Whale were met with the most generous and charming fellow the sea could offer. It was these few friends that helped the big guy from beaching himself year after year.